4 October 2016: High price tags continue to put smart homes beyond the reach of most home owners and many who can afford to pay are not being sold on the benefits, according to a report from Beecham Research released today. While new home comforts and easy living remain the main incentives for potential customers, it is practical applications such as home safety and money saving devices such as smart thermostats and energy meters that are currently driving the market, along with smart home entertainment systems. The report, ‘Smart Home Market – Current Status, Consumption Trends and Future Directions’, says that a lack of awareness and knowledge of smart home products and their benefits is a barrier to market growth, along with concerns about data privacy and lack of device interoperability. While Beecham Research says that these smart home ‘speed-bumps’ make some of the more over-optimistic forecasts simply unrealistic, it still believes that new industry partnerships and innovative routes to market will help drive impressive market growth. It predicts that revenue from the sale of smart devices for the home will achieve at a compound annual rate growth of around 34% over the next five years, from $3.1bn in 2015 to $16.2bn in 2020. Another key driver for the smart home will be new industry partnerships and routes to market, according to the Beecham Research report. For example, insurance companies will sell devices directly as part of their policies or offer discounts from retailers, while utilities companies, security providers and telecom operators also see the opportunities to partner with products companies to deliver new services and value add. 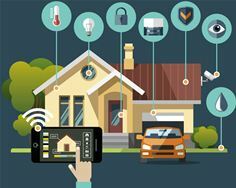 Beecham Research will also be publishing a second report later this month that takes a closer look at IoT security issues in smart home environment and development of smart home security market.